Play AVCHD and YouTube Video on Samsung Galaxy S2. Any Video Converter is an easy-to-use and high efficient video to cell phone converter software. It helps you to achieve excellent conversion from any HD and SD video formats to mobile phone compatible video and audio formats, such as 3GP, WMV, MP4, AAC, WMA, WAV, MP3, etc. which are supported by all mobile phone and smart phone, like Samsung Galaxy S2, Nokia, Blackberry, iPhone, etc. Especially, Any Video Converter has brought much convenience to the users of Samsung Galaxy S2. This Samsung Galaxy S2 video converter designed specific profile settings for Samsung Galaxy S2, which save much more time to adjust the Samsung Galaxy S2 video and audio parameters settings manually. As well, the Samsung Galaxy S2 video converter not only concerns the tremendous compatibility of different mobile phone OS types, but also offers Samsung Galaxy S2 users impressively fast video to Samsung Galaxy S2 converting speed and the high output video-audio quality almost same as the source video. The Samsung Galaxy S2 video converter offers our users the best and most fantastic digital experience with their Samsung Galaxy S2. With Any Video Converter, it’s easy to convert any video files to 3GP format to be played on Samsung Galaxy S2. Please follow below steps to get playable videos for your phone. 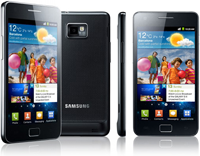 How to convert videos to 3GP format for Samsung Galaxy S2? Step 2: Choose output profile "Mobile Phone 3GP Movie (*.3gp)" in the profile drop-down list and set frame size option to 800×480 pixels manually. For better enjoying videos on Samsung Galaxy S2, you can customize video and audio options, such as Video Codec, Video Bitrate, Audio Codec, Audio Bitrate, Audio Channel, Disable Audio, etc. If you prefer MP4 instead of 3GP movies, you can select "Google Android MPEG-4 Movie (*.mp4)" as output profile. With the above settings, Samsung Galaxy S2 can play your 3GP or MP4 videos perfectly. Step 3: Click Convert button to start converting videos for Samsung Galaxy S2. Once the conversion is finished, you can click "Output Folder" button to get the output 3GP or MP4 files. Then connect your Samsung Galaxy S2 with computer, import output videos into it, and have fun! You may also need to rip DVD for Samsung Galaxy S2. With Any DVD Converter Pro, you can easily rip DVD to 3GP video formats compatible with your Samsung Galaxy S2. Any DVD Converter Pro works perfectly as it's Any Video Converter Pro plus a DVD ripper. Download Any DVD Converter Pro to have a try! It is almost impossible to transfer the M2TS into Samsung Galaxy S2 since it is very large in size and the format is not compatible. So we have to convert M2TS files into 3GP. 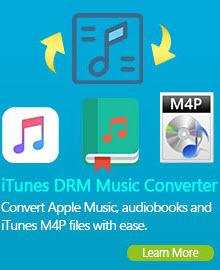 How to convert m2ts files to 3GP format? 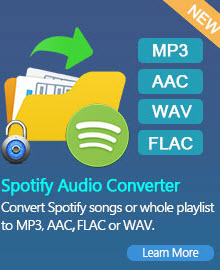 Any Video Converter is the perfect M2TS video converter which is designed to convert m2ts files to 3GP and other video formats such as wmv, asf, mkv, avi, flv, mp4, etc. with super converting speed and high output sound and image quality. The user-friendly interface and simple converting operation make it easy to convert M2TS to 3GP even though you are a novice. Any Video Converter cannot only convert M2TS to 3GP, but also many other video format, such as avi, wmv, mp4, mts, tod to 3PG for Samsung Galaxy S2. Download the funning YouTube Video on your computer hard drive in FLV format, but your Samsung Galaxy S2 will not play FLV natively. How to put the YouTube in to Samsung Galaxy S2? Well, with Any Video converter, you can convert FLV video to 3GP which can be accepted by your Samsung mobile phones, and other portable devices such as iPad, iPod, iPhone, Zune, PSP, etc. The Samsung Galaxy S2 Video Converter allows you to download YouTube videos and convert them to 3GP format and many other video and audio formats with lightning speed. This program also supports YouTube HD video files. Copy and paste YouTube video URLs on the window of the converter to start downloading. This "download + convert" software offers you the easiest and fastest way to watch, download and transfer video to Samsung Galaxy S2! If you want to convert DVD to your Samsung Galaxy S2, you can update Any Video Converter to Any DVD Converter Pro. Any DVD Converter is excellent DVD ripping software which can help us convert both of your NTSC and PAL DVD to 3GP for Samsung Galaxy S2. Besides 3GP format, the DVD converter can rip DVD to AVI, MPEG, MKV, ASF, WMV, M2TS, XviD, FLV, RM, MP3, WMA, etc. with high quality. The Samsung Galaxy S II (or Galaxy S2) is an Android smartphone that was announced by Samsung on 13 February 2011 at the Mobile World Congress and is currently the world's thinnest Dual-Core smartphone. (Given the NEC Medias will only be available in Japan, it is regarded as the thinnest smartphone by the rest of the World.) The Galaxy S II is the successor to the Samsung Galaxy S. It features a 1.2 GHz dual-core SoC processor, in either Samsung's own Exynos SoC (GT-i9100 model) or Nvidia's Tegra 2 SoC (GT-i9103 model). It has 1 GB of RAM, a 10.8 cm (4.3 in) WVGA Super AMOLED plus display and an 8 megapixel camera with flash that can record videos in full high definition 1080p. It is one of the first devices to support Mobile High-definition Link (MHL), which allows up to 1080p uncompressed video output with HDMI while charging the device at the same time. Support for the USB On-The-Go (USB OTG) function was also specified and confirmed on this device. In honor of Whitney Houston, who died at the very young age of 48, let's start compiling our memories of the top 10 songs of the incredibly talented singer and actress. 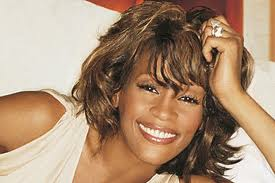 How to collect Whitney Houston's Album, Movie and Video? How to share and recall every moment of the greatest singer's life with all the Houston's fans all over the world. Click here to learn more.